Parisians had seemingly finally cleared the hurdle to the semi-finals of the Champions League. However, Barcelona would score three goals in the final five minutes of the match to hand PSG one of the cruelest defeats the modern game. 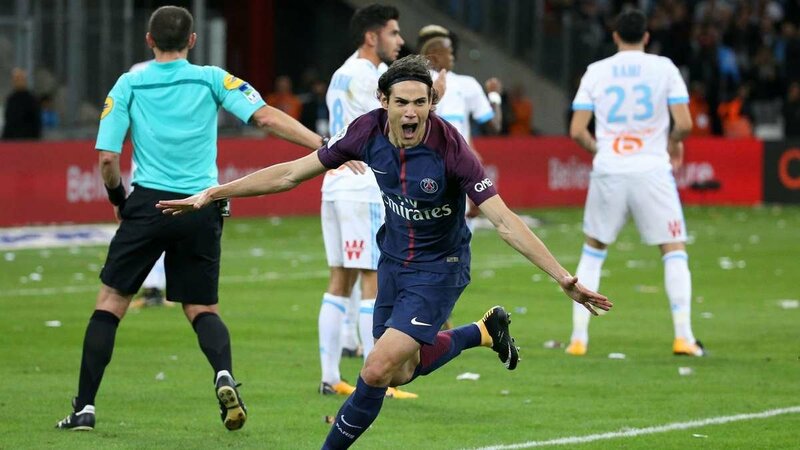 senior made Cavani develop his technique and mental strength to succeed. He can still be seen sporting hair past his ears, perhaps still tipping his cap to his idol. The 2011 season was when Cavani began to place his name amongst the very best strikers in Europe. As the focal point true #9 for Napoli, he forged a prolific partnership with Ezequiel Lavezzi and Marek Hamsik. He would go on to score 104 goals in 138 games for the club. embarked to Paris. It was supposed to be a dream strike partnership with Zlatan. Although, it would lead to domestic success, it often showed its’ flaws when playing in Europe. With Zlatan leading the line as a traditional #9 and a tactical shift towards 4-2-3-1, there were few matches where Cavani could line up in his preferred position. He was often shunted out to the right or left wing in the trendy 4-2-3-1 or a modified 4-3-3, which PSG could get away with against French opposition due to their immense talent. In the 2014/15 season, when Cavani and Ibrahimovic were both in the starting lineup, PSG’s winning percentage was just 47%. Compared to 70% when one or both were not in the lineup. Cavani has been the one consistent performer for the Parisians since the beginning of the project. While Ibrahimovic was undoubtedly instrumental and his prolific scoring record says that he was paramount to their success; the 2016/2017 season suggests otherwise. 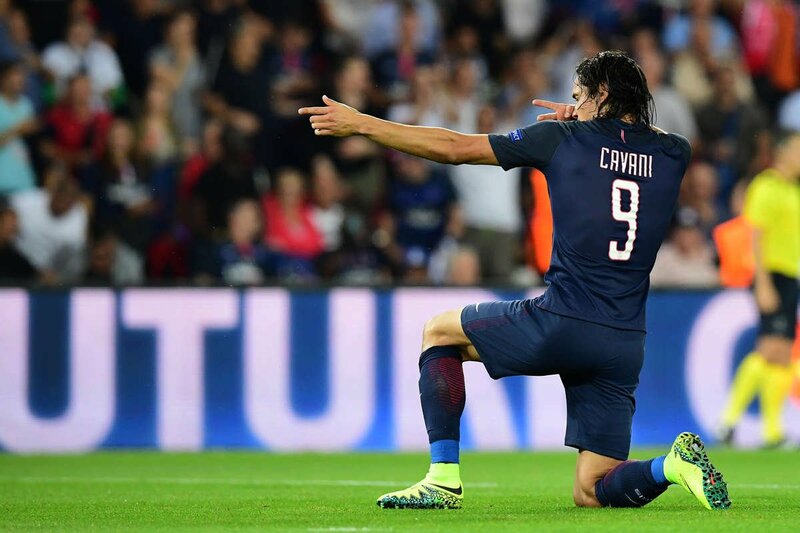 After four years of battling with the Swede, Cavani was the main man and he went on to score 49 goals in 50 games. 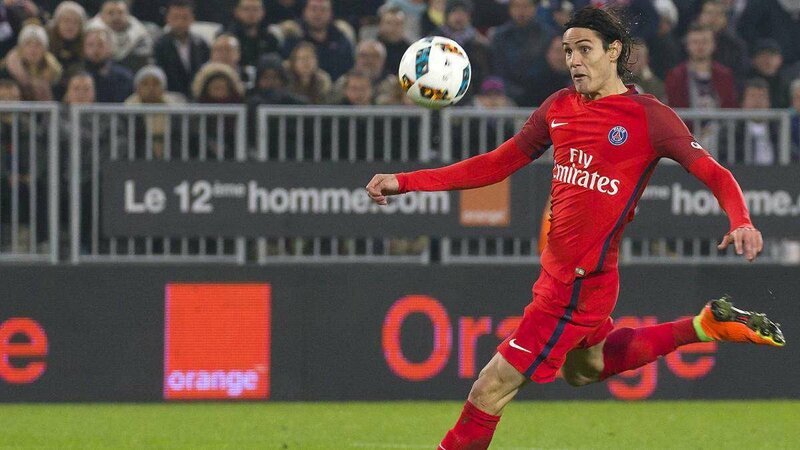 Through the billions spent in revitalizing Paris Saint-Germain, Cavani has remained a consistent and reliable performer. Able to put his ego aside, Cavani displays a tireless work rate and selfless play style that enables the team to play as just that, a team. Something that was clearly lacking when Ibrahimovic was leading the line. With the arrival of Neymar and Mbappe, Cavani has again been displaced as the top man at PSG. 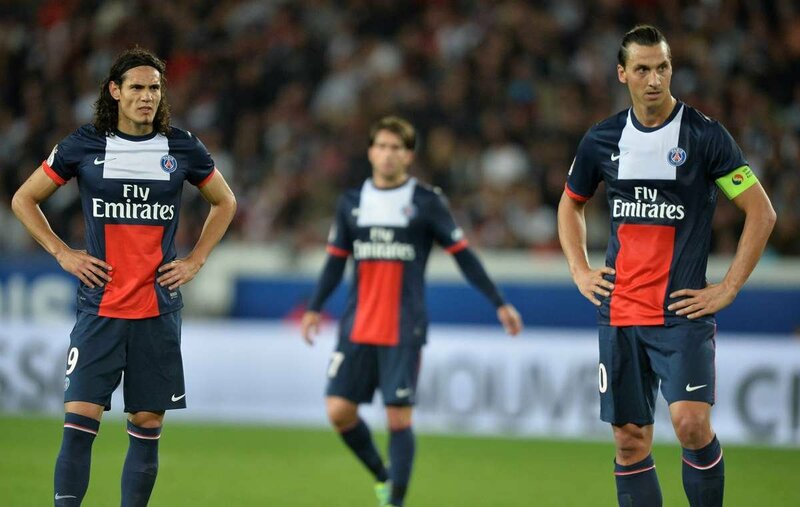 Early signs are showing issues that could derail what is the best PSG team they have had. Cavani has been playing in his preferred central striker role, but he must secede his space to the inside forward Neymar, and who seems to be his replacement in waiting, Kylian Mbappe. His prolific scoring record in the 16/17 season suggests that he is more than capable of carrying PSG if the team is built around him. Cavani and Ibrahimovic were able to largely keep their differences behind closed doors. 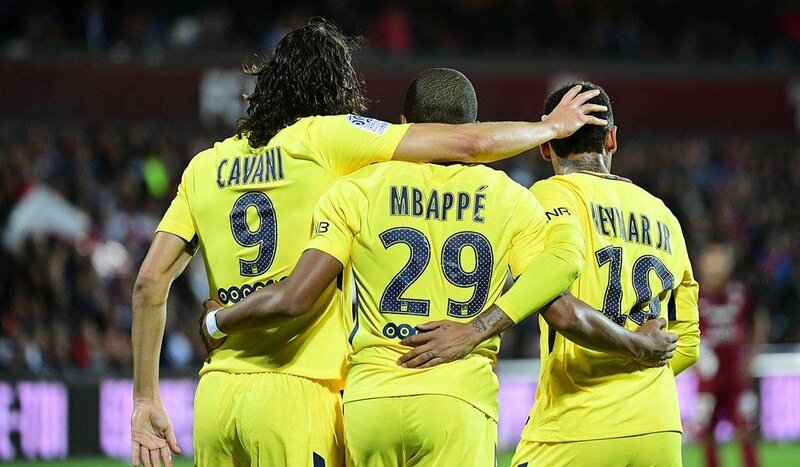 However, Cavani and Neymar have caused an uproar with the Brazilian vying for complete power. Neymar clearly wants to take penalties and freekicks, but Cavani has been less than willing to secede these duties. In a 2-0 victory over Lyon earlier this month, PSG had a penalty awarded on a corner kick. Cavani promptly took the ball and walked to the penalty spot. Neymar approached him seemingly asking to take it. Cavani brushed Neymar away several times before the Brazilian walked to the top of the 18. It has been reported that this incident caused a falling out between the two and divided some of the team. A clear issue for any team, especially when superstar players are involved. In Le Classique against Marseille, Neymar and Mbappe had failed to spark a lackluster performance so far. When Neymar was shown a red card in the 86’, Marseille took advantage of the extra man and Florient Thauvin scored to put Marseille 2-1 up. PSG was then awarded a free-kick late into stoppage time, about 25 yards out. With Neymar sent off, there was only one man to step up and take it. Cavani immediately grabbed the ball and only had eyes for goal. Taking a four-step run-up, he belted a free kick into the top left corner of the net, leaving Mandanda helpless and securing a point for the visitors. After Neymar received a ban for his red card against Marseille, PSG were up against Nice. With the suspension to Neymar, it was a changed side with Angel Di Maria playing on the right wing, Cavani through the middle, and Mbappe on the left. Cavani once again, put the team on his shoulders, and bagged two goals. In matches when the shiny toys have failed to shine for Le Parisians, it is Cavani who vindicates why he has been the best signing for PSG. His combination of movement, link up play, and goal scoring record says that he is of the very best strikers in Europe; and has been for a number of seasons. 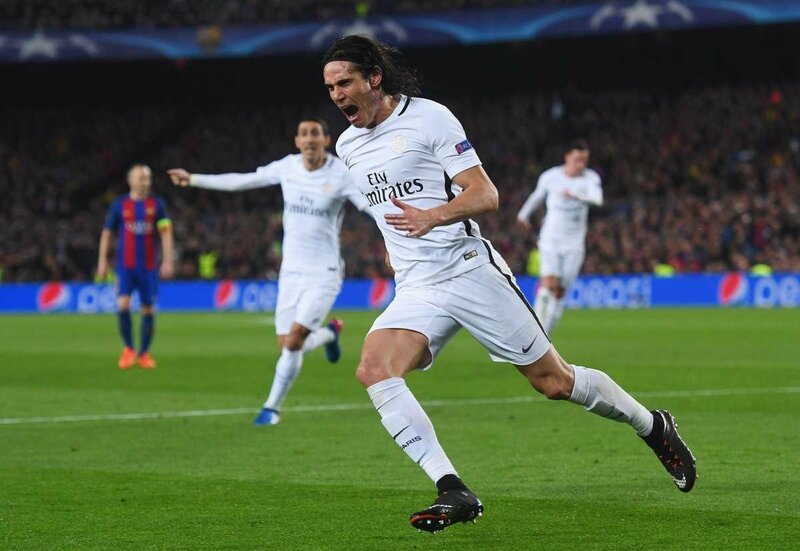 PSG have seen the prime of Cavani’s career, and if Unai Emery builds a gameplan around him, there is no reason that he cannot lead Paris Saint-Germain to the illustrious Champions League crown.